"Love, love, love this gallery. It's a bright little slice of artistic heaven on the island. 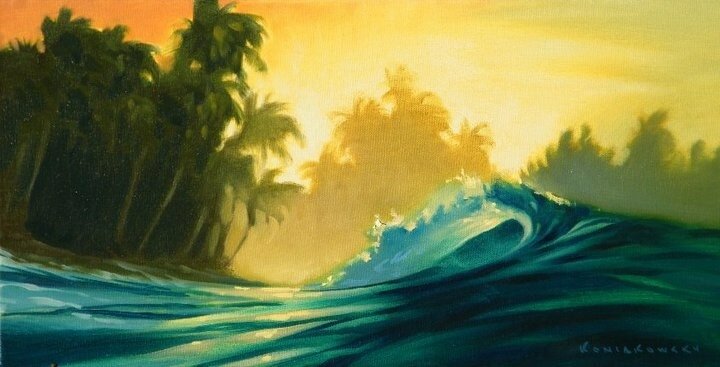 The art is so non-traditional than your typical island ocean scene. Colorful, full of emotion, carefully curated. " Grant Pecoff creates a world where vibrant light and electric colors transform the familiar into the extraordinary. Take a trip into Grant Pecoff's art and share his vision of our magical world. ﻿﻿Wade Koniakowsky’s world renowned art can be summed up in two words: ocean inspired. His world of tropical dreamscapes, island locales and far-away lineups have been seen in movies, television shows and international surf competitions. 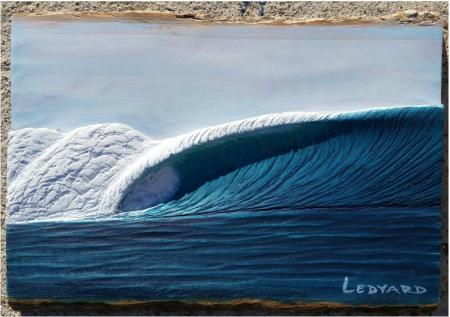 Nathan Ledyard brings the ‘surfer’s point of view’ to life by creating unique and striking three dimensional ocean and surf art His work is unique, surreal and tunnel-vision inspired. ﻿Kauai's Tim Saunders, a lifelong surfer and fisherman, brings new life to recycled trash with his unique ocean-inspired fish and wavescapes. Australian artist Angela Beggs' paintings capture the femininity in modern surfing and the carefree, casual beauty of surf culture. Welzie combines the creative and surfboard building into his unique style of resin art. Paintings are even durable and resistant to water, dents, and sun. Just like a surfboard! ﻿Recognized internationally, Coco is a self- taught master water-colorist. Her vivid images of nature, flora, sea life and wildlife are inspired by her time in California and Hawaii. ​Artist, board maker, clothing designer and molecular geneticist, Joe Hodnicki "shares the stoke" in a variety of mediums: acrylic, oils and illustrations, mixed media, block printing and wood working. 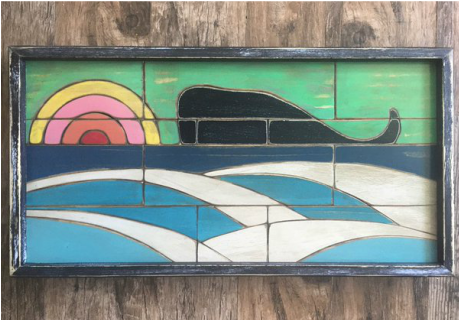 ﻿North Shore Kaua'i multi media artist Chris Viverito aka The Captain Surfs is mirage of mediums: from surf craft shaping to pyrography, watercolors, acrylic and everything in between. ​Inspired by her love of the sea and nature, Susan Wickstrand, "The Queen of Collage" has been featured on award winning T.V. shows, on apparel for Surf Brand Rip Curl, skate decks and iPhone cases.